Study and make recommendations regarding the regulatory authority of counties in relation to development in unincorporated areas, including public safety and public health regulations, and the authority of counties to prevent new colonias development without sufficient water, wastewater, and other infrastructure. Study and make recommendations relating to the use of funds collected from red light camera citations. Study and make recommendations regarding the relationship between cities and special utility districts, including the formation of special utility districts in the extraterritorial jurisdiction of cities, and the ability of those districts to meet the future service needs of residents; the number of special utility districts currently existing and their effect on the overall property tax burden; as well as the significant growth/creation of special utility districts and their effect on the provision of services to residents. Study and make recommendations relating to counties’ ability to apply for and receive state and federal grants. Focus on assessing the impact and use of grant funds, on streamlining the process, and upon the impact and options available for counties without incorporated cities and towns. 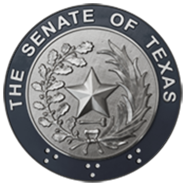 Study the implementation and impact of legislation passed by the 79th Legislature to increase the economic impact of the Texas Wine Industry on the state’s economy and make recommendations, as appropriate. Study the status of floodplain mapping in Texas communities and the scope of local governments’ floodplain development management authority and make recommendations, as necessary, to enable communities to provide accurate floodplain data and management plans that will facilitate more favorable insurance rates and better protect the lives and property of Texas residents in the event of a natural disaster. Study the home ownership rate for low-income Texans. Make recommendations for increasing home ownership. Analyze options for enhancing Low Income Housing Tax Credits and include costs and benefits to the state.